I thought that Bretton Woods was about free trade and economic cooperation, not “taming the power of international finance.” But I can be wrong. So I checked it out. The lessons taken by U.S. policymakers from the interwar period informed the institutions created at the conference. Officials such as President Franklin D. Roosevelt and Secretary of State Cordell Hull were adherents of the Wilsonian belief that free trade not only promoted international prosperity, but also international peace. The experience of the 1930s certainly suggested as much. The policies adopted by governments to combat the Great Depression – high tariff barriers, competitive currency devaluations, discriminatory trading blocs – had contributed to creating an unstable international environment without improving the economic situation. This experience led international leaders to conclude that economic cooperation was the only way to achieve both peace and prosperity, at home and abroad. Further down his original draft proposal, he advises that “the fabric of international banking organisation, built up by long experience to satisfy practical needs, should be left as undisturbed as possible.” Taming international finance, it seems, was not on his agenda. So where does Blakeley’s claim that Keynes aimed to “euthanise the rentier” come from? There can be no doubt that this criterion will lead to a much lower rate of interest than has ruled hitherto…. I feel sure that the demand for capital is strictly limited in the sense that it would not be difficult to increase the stock of capital up to a point where its marginal efficiency had fallen to a very low figure. This would not mean that the use of capital instruments would cost almost nothing, but only that the return from them would have to cover little more than their exhaustion by wastage and obsolescence together with some margin to cover risk and the exercise of skill and judgment. In short, the aggregate return from durable goods in the course of their life would, as in the case of short-lived goods, just cover their labour costs of production plus an allowance for risk and the costs of skill and supervision. Now, though this state of affairs would be quite compatible with some measure of individualism, yet it would mean the euthanasia of the rentier, and, consequently, the euthanasia of the cumulative oppressive power of the capitalist to exploit the scarcity-value of capital. Interest today rewards no genuine sacrifice, any more than does the rent of land. The owner of capital can obtain interest because capital is scarce, just as the owner of land can obtain rent because land is scarce. But whilst there may be intrinsic reasons for the scarcity of land, there are no intrinsic reasons for the scarcity of capital…. Dear Grace, in misappropriating Keynes’ soundbite, you have entirely missed the point. Keynes foresaw a time when capital will be so abundant that capitalists cannot live on the returns from it and must work for “reasonable terms of reward”. Rentiers will quietly die out. Historically, when capital becomes too abundant, the rich and powerful have preferred to destroy it rather than share it. And this brings me back to Bretton Woods. The late nineteenth century gold standard period, known in America as the “gilded age” because of its unprecedented prosperity, ended with the greatest destruction of capital in recorded history. 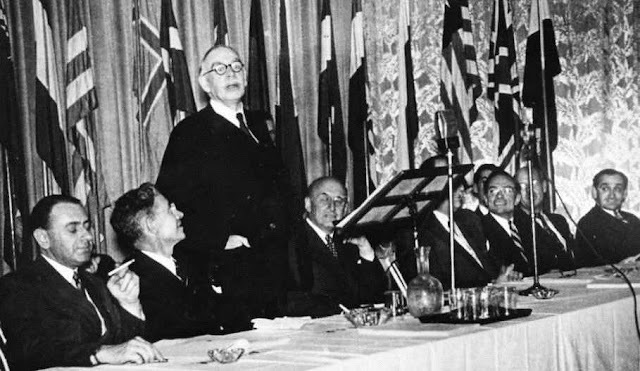 The Bretton Woods conference aimed not to “tame international finance,” but to restore the prosperity of the gilded age. The statesmen of that time recognised that cooperation, not conflict, is the route to prosperity. Keynes did not go to the conference to “euthanise the rentier”, but to create a system in which the wealth of nations would be shared more equitably. This is what we must address – before it is too late.